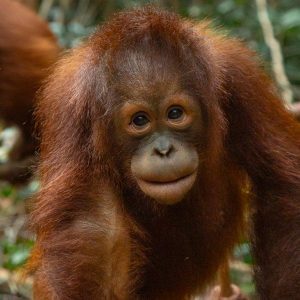 Orangutans are endangered and at risk of extinction. Hunting, the pet trade, trafficking and habitat destruction all mean hundreds of orangutan deaths every year. With your help, we can change this. By adopting one of our orangutans, you can take comfort in knowing that they are being cared for around-the-clock. Our dedicated ‘nannies’ teach them what they need to know for when it’s time to release them back to the wild, in places not threatened by people. 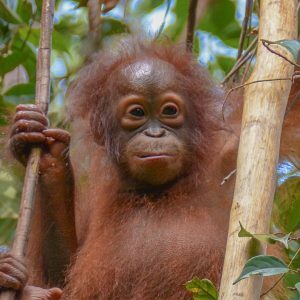 Some of our orangutans are featured in the docu-series Orangutan Jungle School, currently available to stream on STAN in Australia. 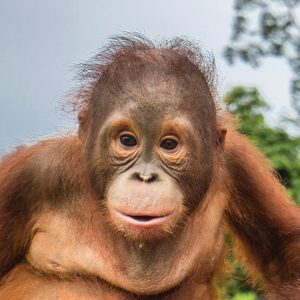 Rehabilitation centres are set up to accommodate confiscated or donated pet orangutans. 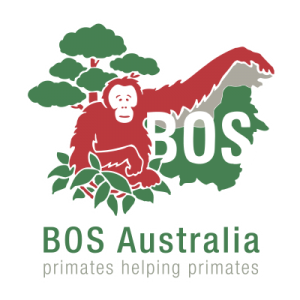 The aim is to guide and teach apes to return to their habitat. 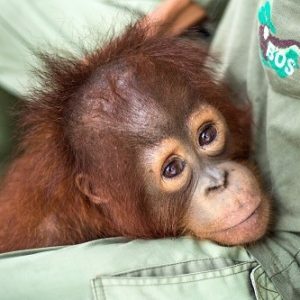 Many orangutans have already been successfully returned and released back in the wild. 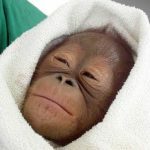 Orangutan infants stay with their mother until they are about 6 or 7 years old. The mother teaches them everything about survival in the forest. 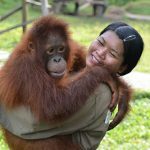 Orphan orangutans in our care have dedicated nannies who give them the love and teach them important skills to be a wild orangutan. 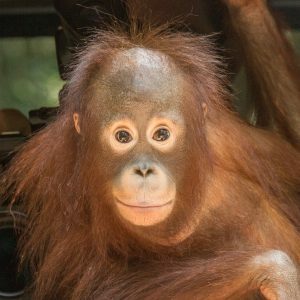 Unfortunately, Orangutans will come to us critically ill or malnourished. They may also need care from time to time as they grow up and go through Forest School. Our dedicated veterinary team are on hand at both of our rehabilitation centres. When an orangutan has completed their Forest School training, we assess if they are ready to be released back into the wild. 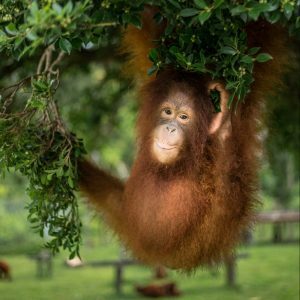 Our overriding goal is to reintroduce orangutans back to secure natural habitat. We can only do this with your support. 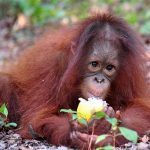 Why Adopt a Baby Orangutan? Your adoption gift will be used in general support of our rescue and rehabilitation efforts, including medicine, food, equipment, rescue operations, cages and hundreds of other things necessary for the ongoing care of these fabulous animals. There is no limit to the number of people who can adopt our babies.